This post is a conversation between Kelly Anne Brown, UCHRI’s Assistant Director, and Anna Finn, UCHRI’s Graduate Student Researcher and English PhD Candidate at UCI. Humanists@Work marks its one-year anniversary on May 7-8, 2015. Kelly and Anna reflect back upon the last year of work and look forward to the exciting new developments to come. Kelly: Here we are, exactly one year after our “birth” at the Humanities and Changing Conceptions of Work culminating conference in Berkeley. Reflecting on this past year, I’m struck by how much systemwide growth there’s been around this topic, UCHRI being just one player at work on this amidst a quickly growing network of humanities centers, departments, and national professional organizations. A couple of developments stand out to me: Over the past year, UC Davis, UC San Diego, and UCHRI have created graduate student advisory committees to help guide the work of their professionalization initiatives and series. Not only will graduate students be involved in shaping the programming, but will themselves participate in the program development activities. At UCHRI we have started formally collaborating with career centers, including Annie Maxfield and the UC Los Angeles’ Career Center. And although seemingly a minor detail, I’m thrilled with our name! For so long we grappled with what to call what we’re doing, and I feel like Humanists@Work breaks important ground in pushing people to think more capaciously about work, the humanities, and some walls that have stood between graduate students as scholars and as students at work. Anna, what strikes you as particularly exciting or groundbreaking about the past year of Humanists@Work? Anna: I can’t believe it’s been a year already! But really, it’s been more than a year because of course we were planning the Berkeley conference months in advance. So many things seem possible now that didn’t seem possible then, from the practical issues around building a website (I still love our first one! humanitiesandwork.org) to the long-term vision that our partnership with Connected Academics makes possible. As a graduate student, working on the Humanists@Work initiative has been empowering and eye-opening. I’ve personally gained humanities programming and administrative skills that will serve me in my future career and I’ve been a part of helping others gain opportunities to learn those same skills. This is what makes Humanists@Work really innovative; we’re teaching, modeling, and creating opportunities for humanities career growth all at the same time. We’re also very lucky to be doing all of this at a system-wide level with the institutional support of UCHRI. It’s groundbreaking that we’re having these conversations in a humanities research institute and that UCHRI recognizes that this is part of the present and future of the humanities. Kelly: Going into our second year of Humanists@Work activities, I can’t help but wonder at what the next year will bring, and whether we’re entering what parents often reference as the “terrible twos.” The stakes are higher, we have many more collaborators at the table, and we have entered a national conversation about graduate education and professionalization. And in the midst of all this that’s new, I’m also struck by the amazing opportunities that something like the Modern Language Association’s (MLA) Connected Academics partnership makes possible. This national partnership will bring many talented and diverse scholars, administrators, and practitioners (and perhaps hybrids of the three) together to explore the latest developments in graduate education and the larger world of humanists at work. I am also interested in developing connections with other Mellon-funded grantees, like those working in collaboration with the American Historical Association (AHA), to learn from one another and begin to share our resources and outcomes more widely. And alongside this, one of UCHRI’s goals for this initiative is to connect with individual UC campuses around graduate education and professionalization. We certainly began forming these connections in February (2015) with UC San Diego and their Center for the Humanities, and look forward to working with UC Davis, UC Los Angeles, and UC Santa Cruz–our next three statewide workshop partners! Anna, do you see us facing any growth pains in the next year? Anna: We have been fortunate to have so many fantastic partners and so much institutional support, but in many ways, Humanists@Work has been a very small, close-knit collaboration. As we branch out into multi-institution collaborations, I think we will all be pushed to communicate more and to keep the initiative’s vision clear, especially as we learn from our partners and from the graduate student community. But the real challenge I anticipate is how we present ourselves to the public at large. We’re already working hard to bridge the academy-community divide and to build real relationships with businesses and industries that would be benefited by employing humanists. We can’t just change the way humanists think about humanists; we have to change our public perception as well. Kelly: As good academics, we’re trained to anticipate our research outcomes even before we have begun the research process. So let’s imagine we’ve been asked to do this in-advance speculation with Humanists@Work. Where do you think we’ll be at the end of this three-year grant? What do you hope we have to show for it? Anna: So far we’ve already made such a difference for individuals. We see it in our evaluations and in the incredible participation we’ve had at our workshops. But what I really hope to see in the future is a system-wide change in the way we think about graduate students. What if our default assumption was that graduate students are valuable, deserve responsible mentoring, and will get jobs in or out of the academy? What if we kept track of our graduate students and maintained a dynamic network of alums who could also mentor current grads and model diverse career outcomes? Changing the way we think about graduate career success will change the future of graduate education, humanities research, and the university as a whole. I know that’s a lot to expect from a three-year initiative, but why not dream big? Kelly: I couldn’t agree more. Culture change in the university is critical, and I’d be extremely excited to see greater faculty turnout at these events at the end of three years. We hear again and again from graduate students that although these workshops are helpful for their career preparation, they’d really like their advisors or faculty members at the event. And perhaps this is because we’re currently immersed in creating a networking/mentoring dinner for the upcoming Sacramento HumWork workshop, but I’d like to be able to point to a handful of California-based organizations who warmly welcome Humanities PhDs into their org charts. I think there’s much work to do on this, since it represents both a lack of knowledge on our part about where our PhDs go, and also a need for the university to be much more public-facing about how we can serve the needs of the community, as identified by the community. 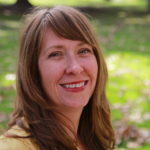 Kelly has her PhD in Literature (2011) from UC Santa Cruz, where she wrote a dissertation on modernist publicness and the work of the Italian Futurists, Alexander Calder, and Virginia Woolf. In addition to her scholarly training in the humanities, Kelly has professional experience in city, county, and state government administration. As a hybrid academic, Kelly works on UCHRI programs while pursuing scholarship on public humanities in California.